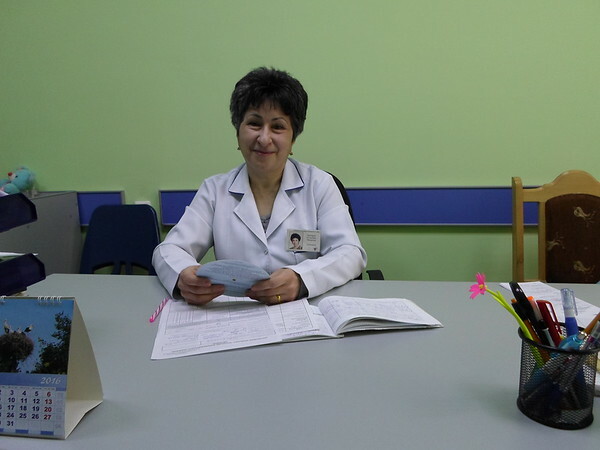 Pediatrician Dr. Susanna Ayvazyan is already the healthcare provider for her second-generation of patients—the children for whose mothers and fathers she began seeing 25 years ago when she first started working at Berd Medical Center. After graduating from Yerevan State Medical University, she and her husband moved from Yerevan to Tavush Province to live with his family. Dr. Ayvazyan started collaborating with FAR back in 2013 as a participant in the Continuing Medical Education Program (CME), which provides professional development opportunities to regional doctors at leading medical clinics in Yerevan. She has also since participated in the seminars, workshops and training organized through CME in both Yerevan and Berd. “These courses are very helpful. For example, when I was in Yerevan I learned about the latest in pediatric care. My training was in a clinic, which allowed me to combine theory and practice. It was indeed helpful and I now use everything I learned in my work,” she said. Dr. Ayvazyan also emphasized the positive work being carried out within the health component of FAR’s Breaking the Cycle of Poverty Program (BCPP), which is implemented in the Berd Region of Tavush. She was among the specialists who provided information at sessions for parents related to child nutrition and growth, along with treatment methods for high temperatures and various illnesses. “Certainly, this was helpful for parents. Berd is kind of isolated from the other regions of Tavush Province, and the country as a whole. New methods and useful literature often do not reach the parents here, which is why most of the information relayed was unknown to parents. FAR’s work in our region is inspiring. They even attend to the nutritional needs of kindergarteners—this is heroic work,” she said. More women are also breast feeding their babies due to improved education on the issue. Dr. Ayvazyan reports rates of 92 percent, a great improvement from just a few years ago. Between 2008 and 2009, just 54 to 57 percent of parents would give their babies cow milk. “This is strictly forbidden,” she said. Dr. Ayvazyan also emphasized the fact that FAR’s study of anemia in children in seven villages in the Berd Region has not only successfully raised awareness, but has also contributed to further improvement in public health. “We did a great job with parents. I recall people would bring their kids in to test them for anemia thanks to our advice. Because of that we discovered more cases, which we could then treat,” said Dr. Ayvazyan, who helped take blood samples for the study. Many children eventually overcame anemia primarily due to medication provided by FAR, as well as improved access to nutritious meals at school.